Leave a comment on THIS post by 6 p.m. CT Tuesday, August 18, 2015 to be entered in the DRAWING for an eBook copy of the book below. If you mention in your comment that you’re a follower (see in the left sidebar “Join This Site” and “Follow by Email”), I'll add your name a second time in the drawing. U.S. mailing address required to receive a paper book. Read book giveaway details at Disclaimers. To provide you security, please leave your email address like this: johnATyahooDOTcom. Winner announced in next Thursday's blog post. 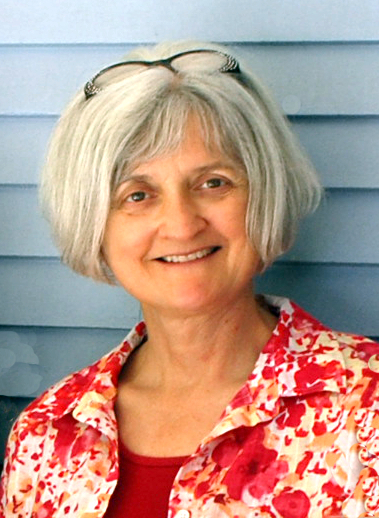 Gail Kittleson has always loved to read, but had no burning desire to write fiction. She was happy instructing college expository writing and English as a Second Language, but after she penned her memoir, the fiction bug bit her. She's been addicted ever since, with special interest in the World War II era. She and her husband enjoy life in small-town northern Iowa, their grandchildren, and in winter, the Ponderosa forest of Central Arizona. Meeting new friends is the frosting on her cake—please feel free to contact me however it works for you. Welcome, Gail. Please describe yourself with three words. I’d say different, sincere, and intrigued. Like many writer-types, I’ve always felt a little out of it in certain situations. Years ago, Kathleen Norris helped me a lot with this in The Cloister Walk. Writers were born to report, she says, so we stand a little off sometimes, observing. Maybe I’m just strange, bottom-line, but it comforted me to think that this “reporter” stance might be the origin of this sensation. Ah, intrigued. So many things interest me, and people far more than things. How does this personality function, as opposed to this other one? How does this theology work in real life? For example, What IS it about people who talk incessantly—I just do not get how anyone can feel important enough to take up all the air in the room. I'm betting they actually feel quite small, yet I don't understand how that works. But that doesn’t stop me wondering. These kinds of questions intrigue me—keep me looking for an explanation. It’s a good way to face life, I think. Hungry to understand, wanting to comprehend. I love to walk, garden, and ride bicycle. Movement energizes me, and so does Nature’s beauty. Maybe because I’ve never been “sporty”, I like to take long walks or cooperate in a plant's growth. When I need a writing break, when I’m puzzling over something or need to pray, I walk. I walk by myself, with my husband, with our grandkids. Alleys are my special place to walk—they tell you so much. Puzzling and praying meld together, and often an idea of how to phrase a concept or tackle a certain character flaw comes to me. The concept of God in us—working in partnership—often seems most real when I’m out walking (writing in my head/heart). My World War II series waits in the wings. Two books are complete, but the third is undergoing a major operation. I believe it’ll survive, mainly because of some strong characters with no intention of letting it perish. The forthcoming book in my World War II series is titled In This Together. Please tell us a little about your memoir, Catching Up with Daylight: A Journey to Wholeness. I taught writing at Eastern Oregon University and attended their summer writing institute. That started me writing about specific events from my childhood. When my husband returned from Iraq, we moved back to Iowa, where his parents were, and started renovating an ancient house. It needed SO much work, and as I went through rooms, stairways, landings, they took me back to my childhood home. Then I met the octogenarian + woman who was born in this ancient house. I heard about her mother's life with seven children born here, her nervous breakdowns, and how she sat by the dining room window listening to the Metropolitan opera on Saturdays for an escape. That led me to write about how women support each other--how our friendships bring us through difficulties. During this time, I also learned the ancient Benedictine meditation method of Lectio Divina, and it revolutionized my devotional life. So I share about that in my memoir, too. 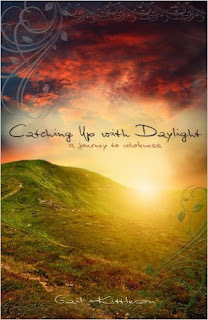 Where can readers purchase Catching Up With Daylight? Please stay tuned to my website for a cover reveal and purchase information for In This Together. Thanks for having me, Jo. I liked your question about describing oneself with three words, and would love to hear the words readers would choose for themselves. I think this would be a good way to draw out our novel characters, too, don't you? I would love to hear the three words readers would choose to describe themselves. Thank you, Gail for visiting with my readers. One of the commenters to this post will win an eBook copy of your memoir, Catching Up with Daylight: A Journey to Wholeness. Have you visited my inspirational blog, Lifelines? I share my thoughts there on various subjects in an insightful way. I post on Lifelines on Mondays. The winner of last Thursday’s blog post for a copy of Dynamo by Eleanor Gustafson is Maxie. I’ll email you. Thanks all for commenting. Watch for more book giveaways.